The City & Guilds Level 3 NVQ 2356-99 for Experienced Workers – also known as the Mature Candidate Assessment – are currently our most popular courses. This NVQ will enable you to obtain your JIB Gold Card upon successful completion. To be eligible for the NVQ 2356-99 you MUST have relevant technical certificates and at least five years experience within the industry. If you do not have five years experience or more, you can still complete the NVQ 2357 which will also enable you to gain your JIB Gold Card. There are 6 different NVQ’s within the 2356-99, each with 8 units which are then broken down into a number of elements. 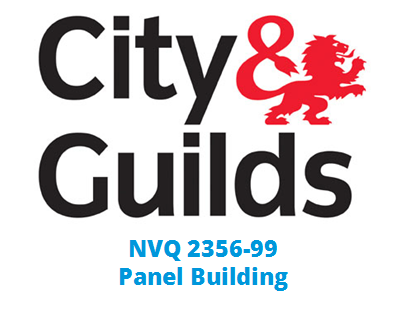 Full details of these NVQ’s can be accessed by clicking on the City & Guilds course links below – or just under those you can find out more about the NVQ 2356 and how XS Training can help you achieve your Gold Card. When you undertake your NVQ with XS Training you will be allocated your personal assessor who will help you to successfully complete the NVQ. 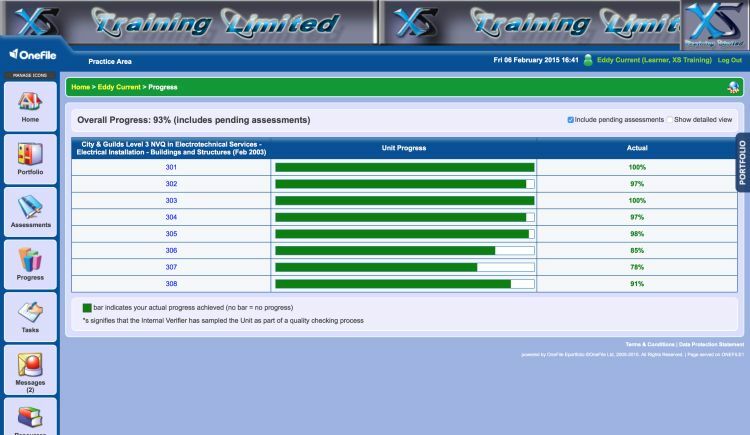 All of the Assessors at XS Training are experienced electricians who are all time served within the industry. We have all enjoyed many years working within the industry before moving into education for the electrical contracting industry. We have taught at various colleges throughout the UK and pride ourselves on delivering outstanding service to our fellow electricians. We offer a variety of assessment methods for the NVQ 2356 such as on-site assessments where we visit you anywhere in the UK. The visit will be carefully planned with your assessor and the evidence collected will count towards your NVQ. On-site assessments are not included within this price plan, if you wish to have on-site assessments then you will need to contact us for a price. • On- site assessments can be difficult to arrange or change at short notice. • On- site assessments can be costly for the candidate as the assessor charges for traveling time and time spent on site. • On- site assessments are often not welcomed by the site manager or employer / supervisor. • On- site assessments are often viewed as interfering with the work that needs to be completed on site. To overcome these difficulties and remain competitive we now offer remote live assessments using your mobile phone as a live link to our video – conferencing system , VIDYO. Your assessor can carry out a direct observation of you without the need to physically visit your site. This is carried out using your mobile phone and a Bluetooth headset. This will enable you to engage with the remote assessments in a safe manner and add more flexibility to the time and date that your assessor carries out the on- site assessment. • Remote on-site assessments can be arranged at short notice. Vidyo has created the secure videoconferencing system with mobile devices in mind. In fact, Google Hangout uses the same system and Google is one of Vidyo’s many satisfied customers. The same system is being increasingly used by more and more professions throughout the world such as healthcare, legal services, education, business and finance, humanitarian aid and engineering and manufacturing to name a few. The great thing about the system is that it even works on low bandwidth, meaning that as long as you have a signal on your mobile phone the system will still work. All you need is an iPhone or android that can connect to the Internet and a stable 3G or 4G signal or connection to wireless network. The e-Portfolio system we use is OneFile and it is regarded as the best e-Portfolios on the market for assessment of QCF, NVQ, SVQ and BTEC qualifications. All major awarding bodies within the UK have accredited OneFile as it is recognised as a robust and high quality resource that is of great use to both candidates and training providers. The system is easy to use and full training will be provided during your telephone induction. To gain the City & Guilds NVQ 2356 you will need to prove your competence whilst working as an electrician. This means being able to prove your practical skills AND underpinning knowledge, to a satisfactory standard. Proof of underpinning knowledge is usually by production of a technical certificates such as 2330 Level 2 and Level 3 or equivalent. 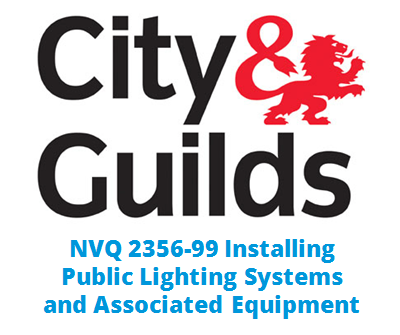 The JIB and City & Guilds launched the new NVQ 2356- 99 in the summer of 2014. 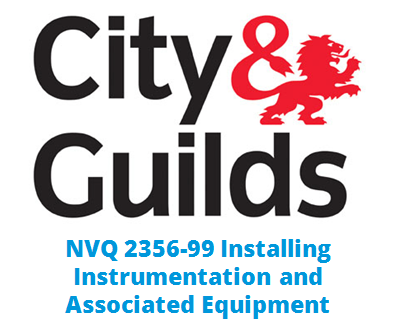 This has re placed the City & Guilds 2356- 31 and is designed specifically for mature candidates who have been working in the electrotechnical industry for a number of years, but have so far been unable to be formally recognised at NVQ level 3. This new NVQ 2356- 99 will allow candidates to demonstrate their technical knowledge, performance and competence to the industry standard level 3. This will enable experienced workers the opportunity to get their skills properly accredited for an Installation Electrician ‘gold card’ under the Electrotechnical Certification Scheme (ECS). Do I Also Need To Achieve The AM2? Candidates will also need to pass the industry achievement measurement competency assessment from NET (the AM2) to successfully complete this NVQ. The AM2 is NOT included in the price for this NVQ and this must be arranged between you and the AM2 Centre. Typically, the cost of the AM2 is £561.00 Plus VAT. We can however arrange this for you as part of our Silver & Gold Package options of the NVQ 2356-99. Candidates will naturally open up more work opportunities upon completion of the NVQ as the JIB gold card is recognised internationally and has become the industry standard within the UK. To undertake this NVQ and become eligible for your JIB gold card you must meet the following criteria. • Have relevant Technical Certificate(s) and be able to demonstrate understanding of industry theory and UK Wiring Regulations. • Have several years experience within the electrotechnical industry. • Be able to meet the standards and criteria of the NVQ and be able provide evidence of doing so from your place of work. If you are not eligible to undertake the 2356-99 we may be able to offer you a place on the City & Guilds 2357. The 2357 can also be used to gain your JIB grading. Please contact us if you do not meet the above criteria. There are 8 Units in the NVQ, which are broken down into a number of elements. To show consistency, the range of assessment activities will need to be covered over three separate occasions for each of the eight units. This does not necessarily mean three separate jobs; rather, this is three separate occasions and may be covered on one large job if you have the relevant evidence to cover the units 3 times. You will also need to complete the AM2 and this counts as one occasion for four of the eight units, namely, units 301, 302, 304 and 308. Unit 301. Ensure safe site working (to be covered over two separate occasions and the AM2 covers one additional occasion). Unit 302. Diagnose and correct faults in electrotechnical systems and equipment (to be covered over two separate occasions and the AM2 covers one additional occasion). Unit 303. Provide technical and functional information to relevant people about electrotechnical systems and equipment (to be covered over three separate occasions). Unit 304. Maintain a safe and healthy working environment (to be covered over two separate occasions and the AM2 covers one additional occasion). Unit 305. Prepare to install electrical wiring systems, wiring enclosures and equipment (to be covered over three separate occasions). Unit 306. Install electrical wiring systems, wiring enclosures, and equipment (to be covered over three separate occasions). Unit 307. Connect wiring systems and equipment using safe and approved methods (to be covered over three separate occasions). Unit 308. Inspect, test and commission an electrical installation (to be covered over two separate occasions and the AM2 covers one additional occasion). In order to cover the elements of the 8 Units you will need to consider the following in your working practices. Do you work in at least TWO of the following environments? Do you work in ALL of the following conditions? Does your work involve at least TWO of the following safety aspects? Do you use at least TWO of the following access systems? Do you work on at least THREE of the following types of wiring system? Do you work on at least THREE of the following types of wiring enclosure? Do you work on at least THREE of the following types of electrical equipment? Do you work on at least THREE of the following types of electrical system? Do you undertake ALL of the following types of electrical tests? Do you diagnose and rectify THREE of the following types of electrical faults? 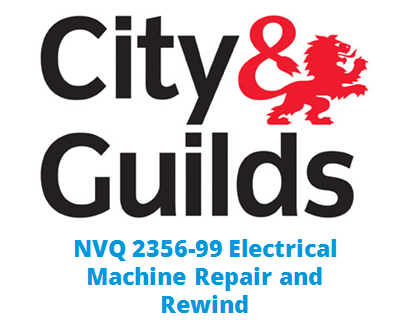 To gain the City & Guilds NVQ 2356- 99 3 you will need to prove your competence whilst working as an electrician. This means being able to prove your practical skills AND underpinning knowledge, to a satisfactory standard. Proof of underpinning knowledge is usually by production of a technical certificate and professional discussion. You will need to gather evidence from the workplace, which will be assessed and verified by XS Training Ltd. The evidence should indicate that you are working to the standards expected of an electrician, over a variety of activities, and, have an understanding of the appropriate electrical theory. The assessment process involves working with your assessor to produce a portfolio of evidence using the e-Portfolio system, OneFile. This will be assessed and verified prior to being submitted to City and Guilds for approval. Your assessor will provide you with on- going support and feedback until you successfully complete your NVQ.